She always turns heads with her eccentric sense of style. 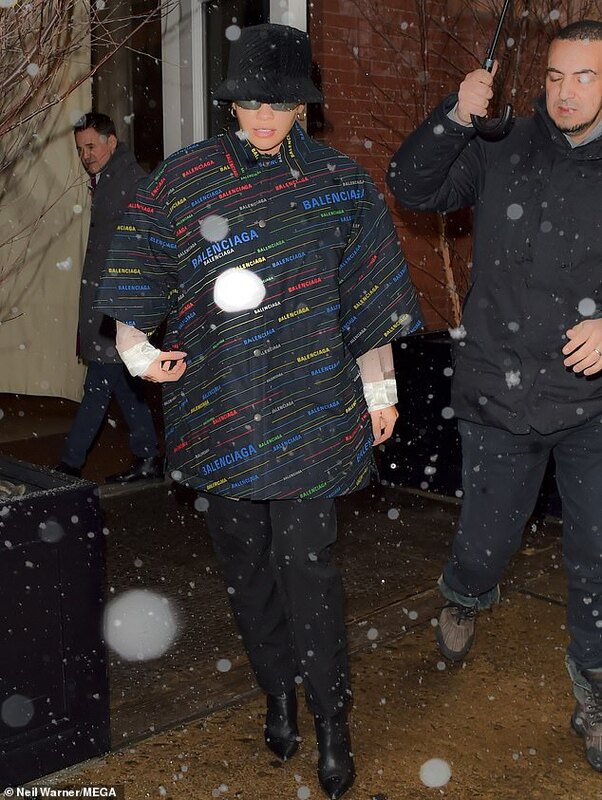 And Rita Ora, 28, definitely made an impact as she wrapped up to defend herself against the natural elements during a snow storm in New York on Tuesday. 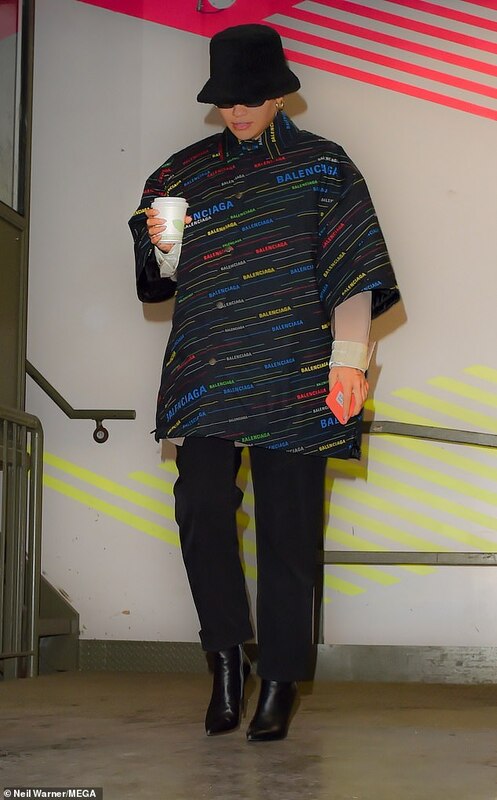 The songstress gave a nod to the nineties fashion trend by opting for a bucket hat and oversized Balenciaga rain coat as she stepped out. Ensuring it was clear where her coat was from, the designer brand name was printed in a collection of primary colours all over the garment. As the singer’s outerwear only reached to her mid forearm a peek of the silky, blush pink and white cuff blouse she wore underneath was spied. She covered up from the chill with black trousers and kept her toes warm in leather boots. Despite not a ray of sun in site, the svelte star sported mirrored sunglasses for her outing. 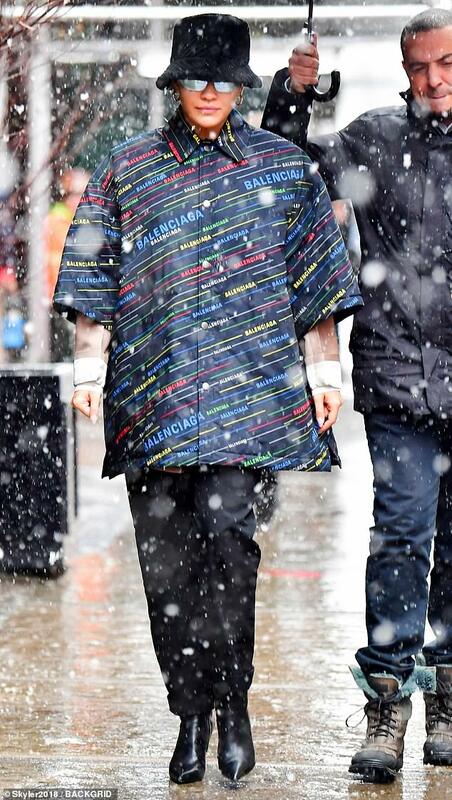 Following her as she ran errands, was her own personal umbrella holder who shielded any snowflakes from falling on the beauty. In need of warming up, the Hot Right Now hitmaker picked up a hot beverage as she ran errands in the big apple. 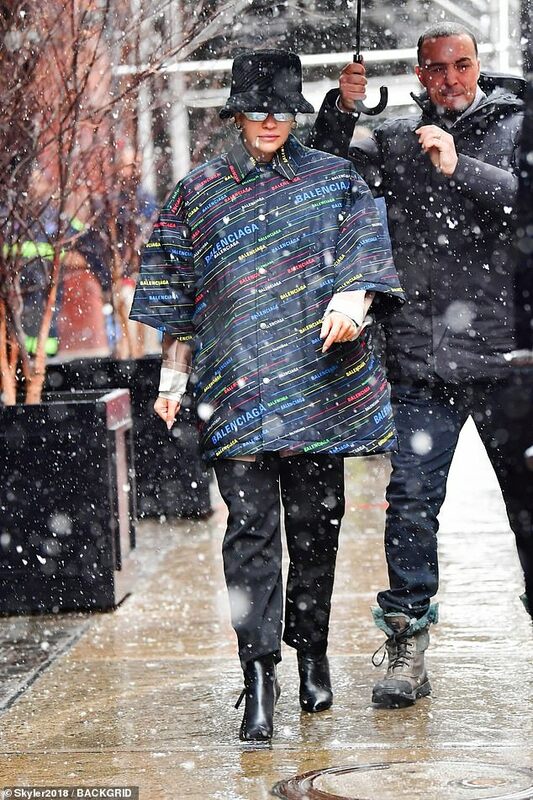 The gorgeous fashionista’s snowy outing comes after she shared on social media that she added to her ever growing tattoo collection on Monday. 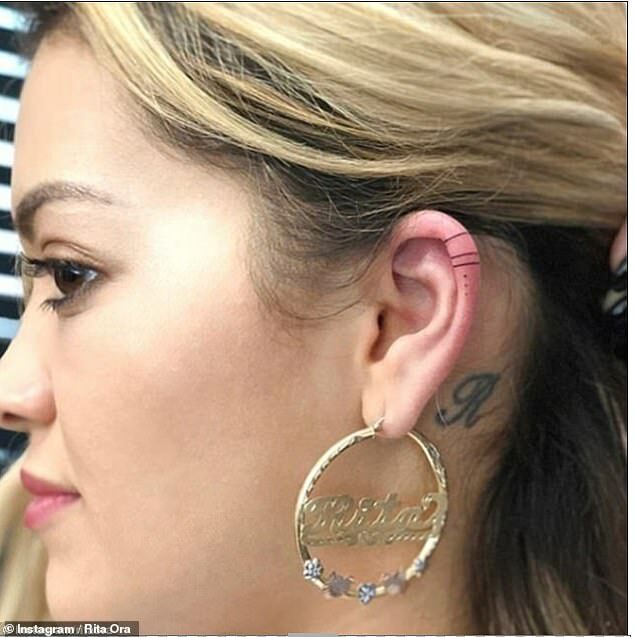 Giving fans an insiders perspective as she was inked, the British performer paid a visit to Manhattan’s famous Bang Bang Tattoo, where resident tattooist Mr. K inked the single word Power on her upper left hand. 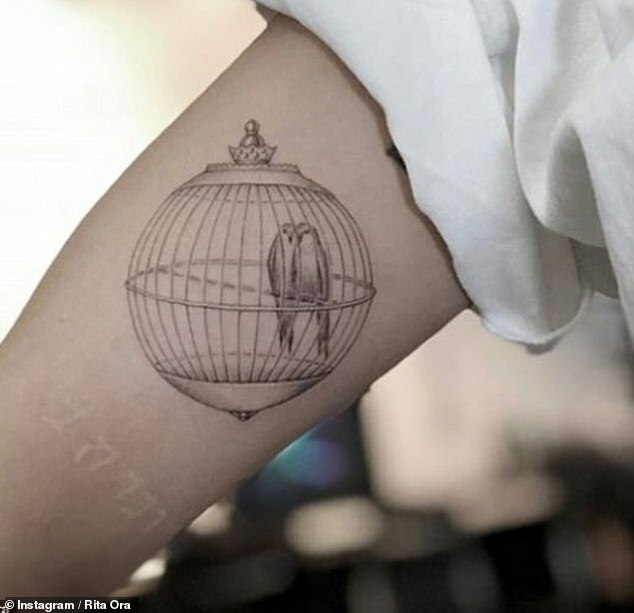 Rita documented her trip with a series of images in which she is looked on while the green-haired artist permanently etched the bold statement into her skin.